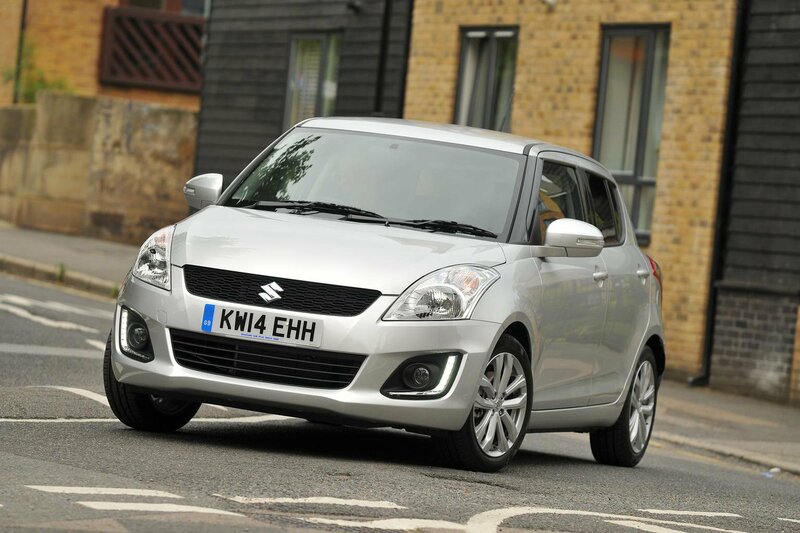 Suzuki Swift 1.2 Dualjet SZ4 review | What Car? The problem for the new Suzuki Swift is that most of its rivals offer models that emit less than 100g/km of CO2, making them exempt from road tax. Suzuki has, therefore, made extensive modifications to the 1.2-litre petrol engine in order to get it below that magic figure. This engine is not due to arrive in showrooms until 2015 though. In addition to the CO2 reduction, official fuel economy has jumped by 16% to 65.7mpg. Suzuki reckons that the savings at the pumps and on VED (when combined) will save the average motorist around £175 per year compared with the standard 1.2 petrol. What’s the 2014 Suzuki Swift 1.2 Dualjet SZ4 like to drive? The previous Swift 1.2 felt just about powerful enough for most roads, but quick progress required plenty of revs. This meant it wasn't as nippy around town as its turbocharged rivals. The good news is that the new engine modifications have helped this. It may be 4bhp down on the outgoing engine, but it’s up 2lb ft of torque. That may sound insignificant but the torque now arrives lower in the rev range, making the Swift feel a little more willing, and thus more relaxed, around town. The slick five-speed gearbox and nicely weighted pedals make it a fun car to thread through traffic. The ‘box has had its ratios lengthened slightly to keep the revs lower on the move, which helps economy. Despite this, the engine is still quite noisy on the motorway, where the lack of sixth gear keeps the revving hard. Transmission whine is also evident around town in lower gears. Like all Swifts, it’s fun to drive, with responsive controls and good high-speed manners. It grips well and keeps its body under tight control, meaning you’ve got loads of confidence to chuck it about. This version sits 10mm lower than the standard Swift – another move to lower its CO2 output. Engine, road, suspension and wind noise are all present on the move and several rivals are more refined, so the Swift is not best suited to long motorway drives. The ride is on the firm side too, although the car gets upset by only big bumps. The steering, however, is a notable weak point, because it feels imprecise and almost 'sticky' when you're travelling along a motorway or dual carriageway, which makes it very tiresome to keep the car in a straight line. What’s the 2014 Suzuki Swift 1.2 Dualjet SZ4 like inside? There have been no changes to the Swift’s cabin. It still feels solidly put together, but uses materials that look and feel cheaper than those used in rivals. The layout is straightforward and easy to use, but the design is drab, something competitors such as the new Renault Twingo are better at. Getting comfortable in the driver’s seat is easy because there’s height adjustment and, on this SZ4 version, both height and reach adjustment for the steering wheel. You get a good view out, because the pillars are thin and there isn’t the rising waistline you get on a Ford Fiesta to compromise the rear window size. Space, as before, is average for a supermini. The relatively high roofline means there’s loads of headroom for all occupants, although tall rear passengers will find their knees pushed right against the front-seat backs. The boot is decidedly average for the class though both in carrying capacity and shape, and the folding rear seats leave a bit of a step to push items over. This top-spec SZ4 model comes with all available options including a touch-screen sat-nav unit, climate and cruise control, LED daytime running lights, automatic headlights, tinted windows, keyless entry and start, and DAB radio, so there is no need to add anything extra. The Suzuki Swift was already a great little car and this new engine is just one more reason to commend it. The increased driveability offered by the new motor combined with its tax-free emissions and low fuel consumption make it well worth the extra £500 it’s expected to cost. However with prices likely to start at £14,500 for the three-door, it pushes the Swift perilously close to our Favourite Ford Fiesta, which is more practical and even better to drive. Our pick of the Polo range is also much cheaper, nicer inside and considerably faster, if not quite as clean. Ultimately adding an efficient engine like this to the Swift range will be a bonus for Suzuki, and should help it keep up with the competition, it's just a shame the SZ4 trim is so pricey, as the SZ3 is probably still the better choice for private buyers.